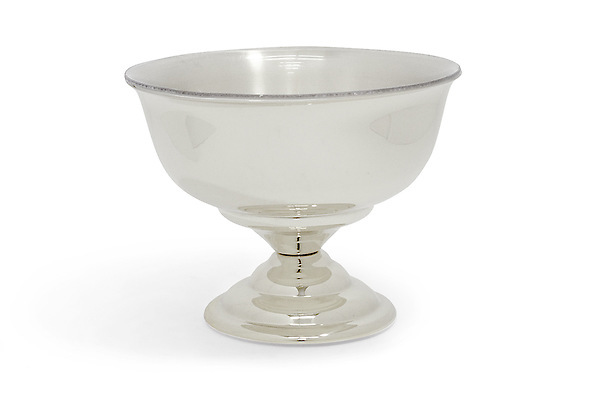 Silverplate Baptismal Bowl with round base. 6 1/4" in diameter. Holds 24 ozs. 4 1/2" h, 2 1/2" deep. 2 lbs. If you have questions about engraving or customization, please call our Custom Sales Team at 1-800-237-7511. If out of stock at vendor order could take up to six weeks.